The new 7 series is BMW's most technologically advanced car and features a suite of semiautonomous features and a self-parking system that's operated with the driver outside the vehicle. 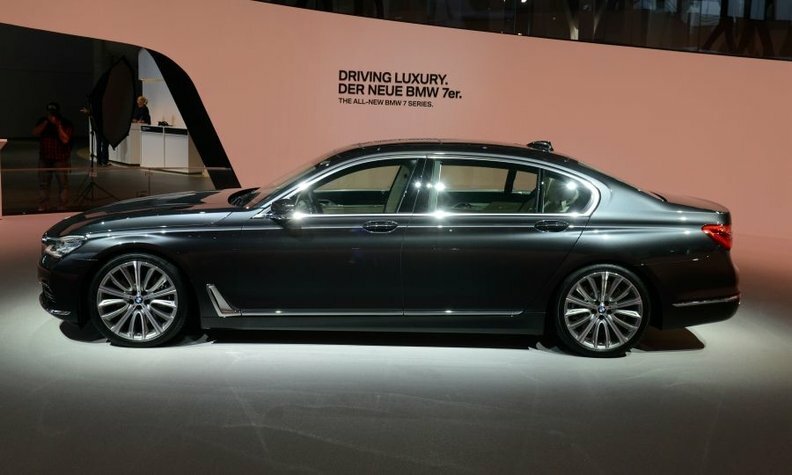 The 7 series is shown at the Frankfurt auto show. FRANKFURT -- The next frontier for BMW Group is growing the digital end of its business, both in its vehicles and the retail environment. Robertson said new consumer programs will focus on service and making it more seamless. In vehicles, improved connectivity and even autonomous driving “will weave itself into all of our next architectures,” he said in an interview at the auto show here. Experiences at Google, which is testing an autonomous vehicle, raise the question of, “Is your car going to learn?” he said. 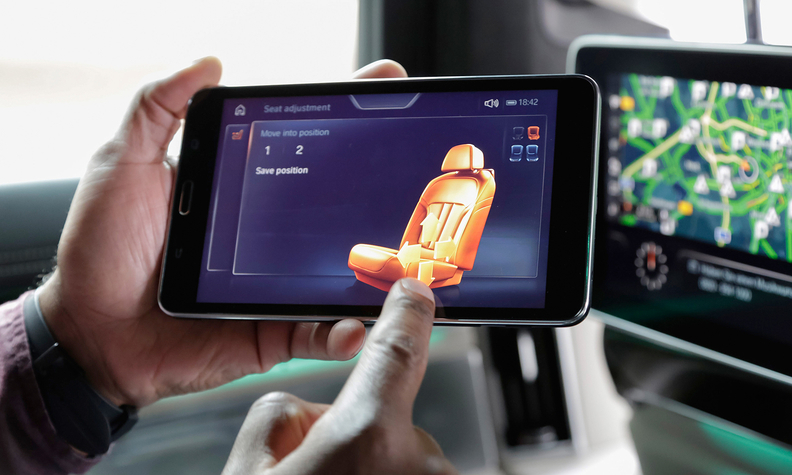 A visitor uses a tablet device to control the seating position in the backseat of the BMW 730D xDrive sedan in Frankfurt this week. BMW also is looking at whether the automotive industry and information technology will converge -- and progress in both industries points to that, Robertson said. The number of lines of computer code in the redesigned 7-series sedan is “mind-blowing,” Robertson said. The 7 series is BMW’s most technologically advanced car and features a suite of semiautonomous features and a self-parking system that’s operated with the driver outside the vehicle. If anything, improvements in the digital world will make it easier to update cars with the latest technology and simplify features -- just look at an iPhone, Robertson said. “All of the things you would have needed would have filled this room -- cameras, video cameras, stereo systems, record and CD players, typewriters are now all in here,” Robertson said, holding up his phone.